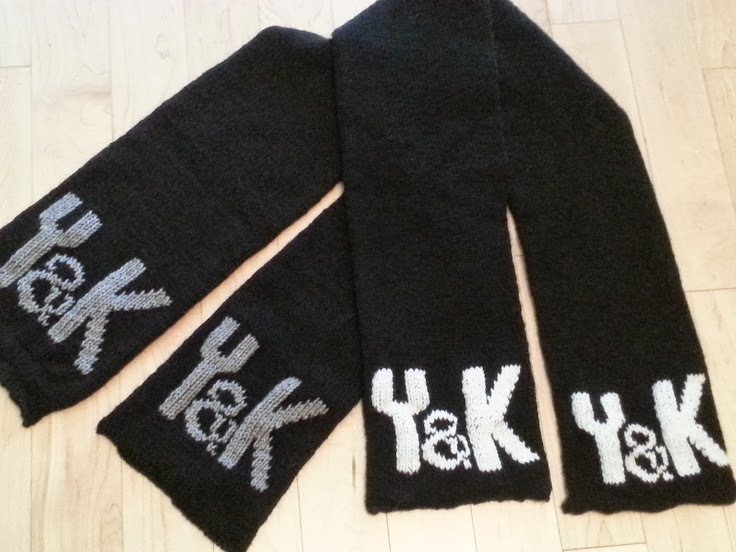 Leah's Knits: Holiday Season Update!! 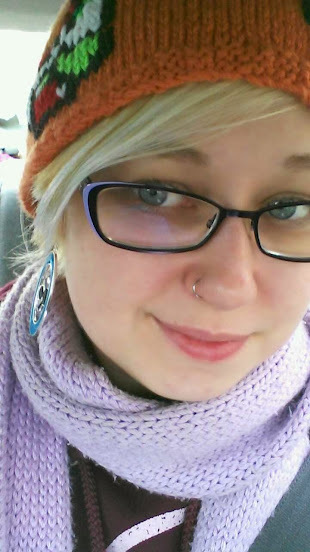 Got my personal Super Mario hat, my original LoZ scarf, my Portal earrings and my Mario 3 hoodie! Great day. Here's what I've been working on! Fun work with initials! I really enjoyed creating that ampersand. 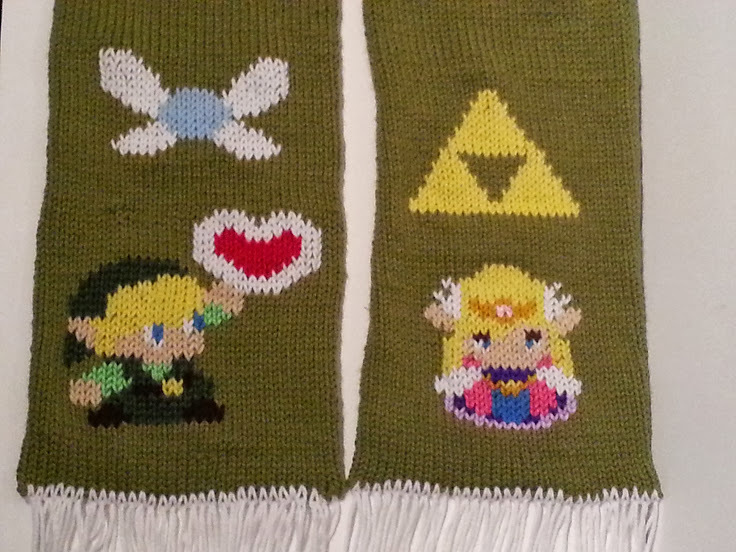 Gorgeous LoZ scarf, definitely my most popular purchase by far, and in the green base! 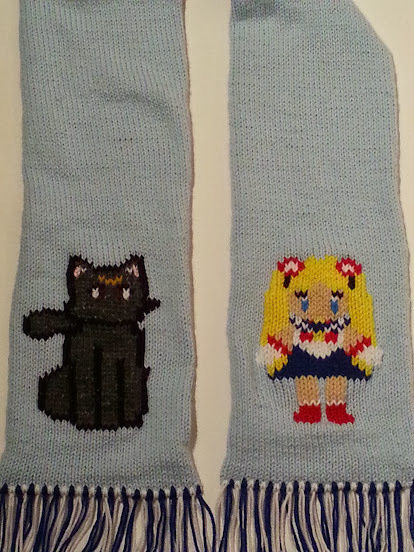 A new take on the Sailor Moon scarf! 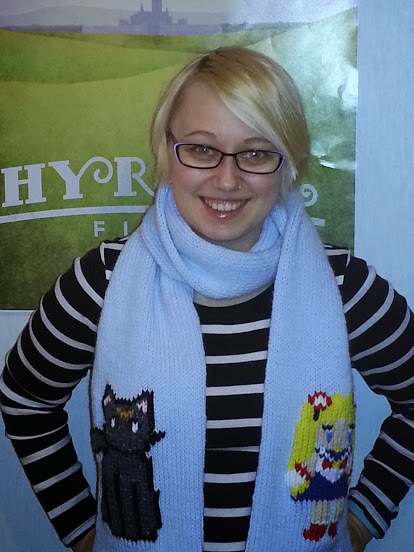 Modeling the scarf. I'm in love with that pale blue! I'm also working on a pair of Street Fighter gloves for a friend's boyfriend! Exciting!! So I'll be super busy through the middle to end of January, and then I plan on making some big changes to my Etsy store. It will be AWESOME.